1) The Pierre is New Yorks landmark hotel located in the heart of Manhattan - on Central Park at 5th Avenue, which is by far the best location in the city. The hotel has just undergone a 100 million renovation of all the guest rooms, corridors, public areas and lobby. 2) The hotel is conveniently located from all 3 major airports in New York. 3) All 189-guest rooms including 49 suites have undergone a complete renovation. Their high ceilings and abundant natural light create a warm and inviting ambiance of classic Manhattan style residences with a feeling of luxury. 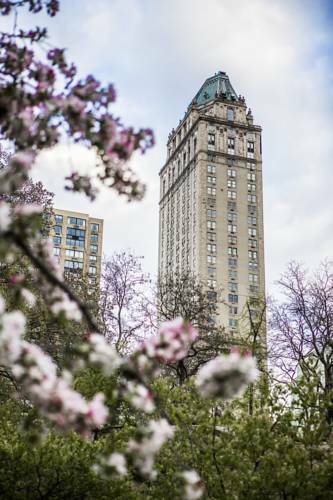 4) The Pierre is one of the few hotels located on Central Park, between 5th Avenue and Madison Avenue. It is in the midst of the best shopping areas in the city with iconic stores such as Barneys, Tiffany and Co, Bloomingdales, and Saks 5th Avenue all closely located. Central Park is right across from the hotel where one can enjoy a day of horse-back riding, biking, ice-skating (in winter) or visit the famous Central Park zoo. Many museums are located around the park including the Natural History Museum and the Metropolitan Museum of Art. 5) The Pierre is pleased to announce its new partnership with the Maccioni Group; they have opened a new restaurant at The Pierre called Sirio Ristorante New York. Sirio Ristorante New York is named after the legendary restaurateur Sirio Maccioni. It will be the sister restaurant to Sirio Ristorante Las Vegas, and part of the Maccionis group of restaurants that includes Le Cirque and Osteria Del Circo. 1.The Pierre is a New York landmark hotel located in the heart of Manhattan, positioned on 5th Avenue across from Central Park. 2. The hotel is 17 miles or a 30-minute drive from JFK airport, 18 miles or a 35-minute drive from Newark airport and 7 miles or a 16-minute drive from La Guardia airport. 3. The hotel's proximity to the famed boutiques of Fifth and Madison Avenues provides access to the best shopping in the city. Iconic stores such as Barneys, Bergdorf Goodman, Tiffany and Co., Bloomingdales, and Saks Fifth Avenue are all within close walking distance.One of a few hotels located on Central Park, guests can enjoy a multitude of activities in the Park, including horse-back riding, boating, boating, biking, ice-skating in winter, and can visit the famous Central Park Zoo. Many museums are located near the hotel, including the Natural History Museum and the Metropolitan Museum of Art.